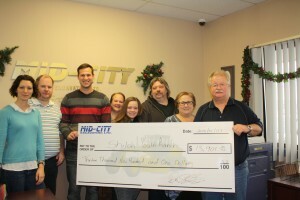 Partnering With the Shiloh Youth Ranch - Mid-City Construction Management Inc.Partnering With the Shiloh Youth Ranch - Mid-City Construction Management Inc.
Mid-City is proud to present the Shiloh Youth Ranch with our annual Christmas charity donation. We sincerely hope these means will help many more children-in-need through the wonderful programming that the Shiloh Youth Ranch offers. We would like to thank the Shiloh Youth Ranch for all that they do, and we would like to extend another special thanks to all our Mid-City employees and our business partners. This incredible act of charity is only made possible by your participation, care, and generosity!